Father Carmen La Mazza died on March 24, 2016 at El Camino Hospital, Mountain View, California. He was 88 years old and a Maryknoll priest for more than 60 years. Carmen Gabriel La Mazza was born in Jersey City, New Jersey, on October 30, 1927, the son of Domenick and Jennie Romano La Mazza. Carmen attended P.S. 27 in Jersey City, New Jersey, and P.S. 176 in Brooklyn, New York. He went on to Brooklyn High School for Specialty Trades and graduated from Stuyvesant High School in New York City in 1945. Father La Mazza entered Maryknoll in July 1945, studying first at the Maryknoll Minor Seminary (Venard) in Clarks Summit, Pennsylvania. He received a Bachelor of Arts degree in Philosophy in 1950 and a Master of Religious Education in 1955, both from Maryknoll, New York. After his ordination on June 11, 1955, Father La Mazza was assigned to the U.S. Region and to Promotion, working first in St. Louis and later in New York City. In 1957 he was assigned to Maryknoll’s Mission Region in Peru, where he served for ten years in the Andes Mountains with the Quechua people of Azángaro, Huancané, Ayaviri and Puno. He also worked for ten years in Lima, and for six of those years, he served as Pastor of the Parish of the Child Jesus in the shantytown of Ciudad de Dios. In 1970 Father La Mazza was appointed First Alternate Consultor to the Regional Superior of Peru. 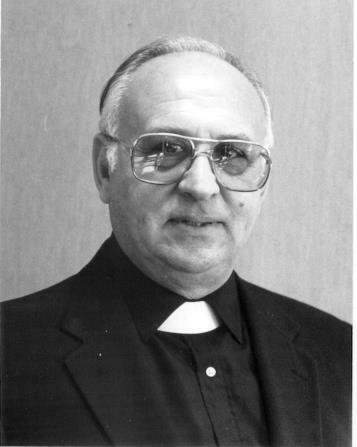 Father La Mazza was reassigned to the Development Department in 1977, serving first as Director of the Seattle House until 1983, then as Director of the New York City House until 1992 and finally as Director of the Buffalo House until 1999. Mass of Christian Burial was concelebrated at the Chapel at Los Altos on March 30, 2016 at 8:00 A.M. Bishop J. Quinn Weitzel was celebrant, Father Bernard (Pete) Byrne was homilist and Father Philip Sheerin read the biography. Father La Mazza’s cremains were sent to Maryknoll Society Center, where they were placed in the Columbarium at Maryknoll, New York.